I felt extra awake this morning, which was shocking considering I spent ALL day on campus for classes, a test, a lab, and a club meeting. I was gone from 7:00 am to 9:30 pm! Instead of using my extra 20 minutes for laying in bed wide awake, I jumped on the bike trainer. I got in a super quick cardio workout! I took my heart rate monitor out of retirement to get an idea of how hard I was working. 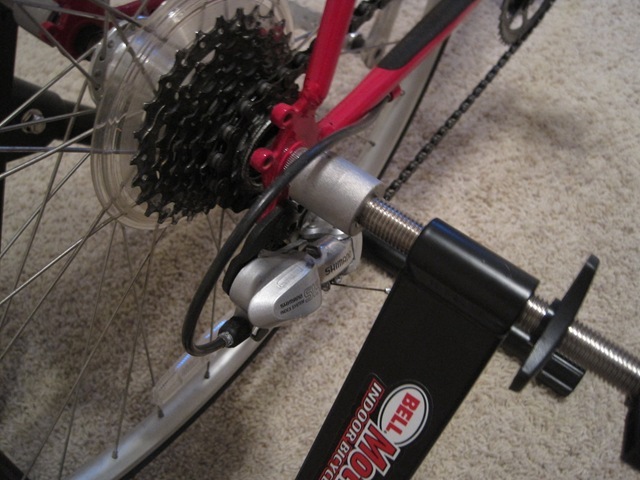 A couple readers asked about my indoor bicycle trainer last week. It was my Christmas present from my parents, so I really had no idea how to answer your questions like where I bought it and how much it cost. I did some research (Googled it) and found my trainer. 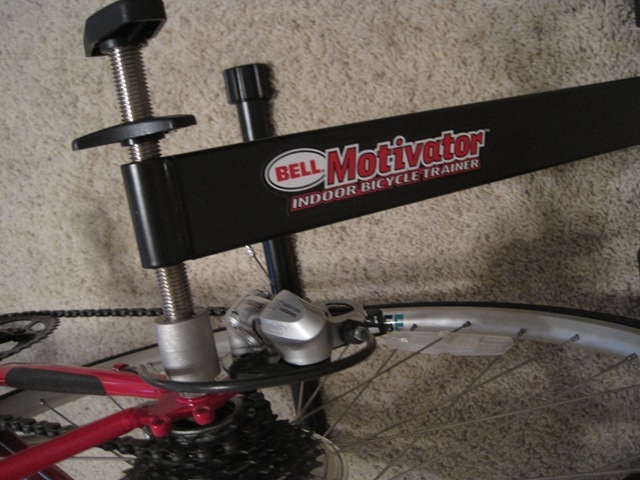 I have the Bell Motivator indoor trainer, which you can find here. It is super easy to use, and requires no assembly. I literally popped it out of the box, unfolded it, and hooked my bike in. It takes about 30 seconds to set up. It is quite easy to put the bike in and out. 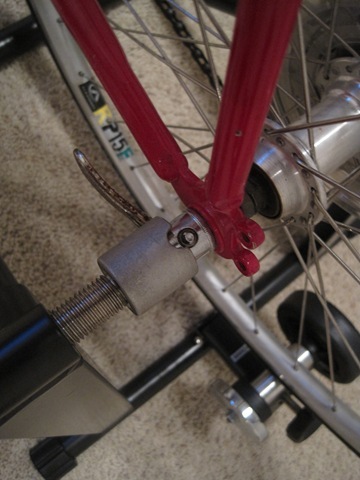 There are two clamps that you set the bike into and twist to tighten. It feels very sturdy. The back wheel rests on the resistance magnet at the bottom which might need adjusting for your particular bike, but once that’s set, your bike will go in and out without much fuss. 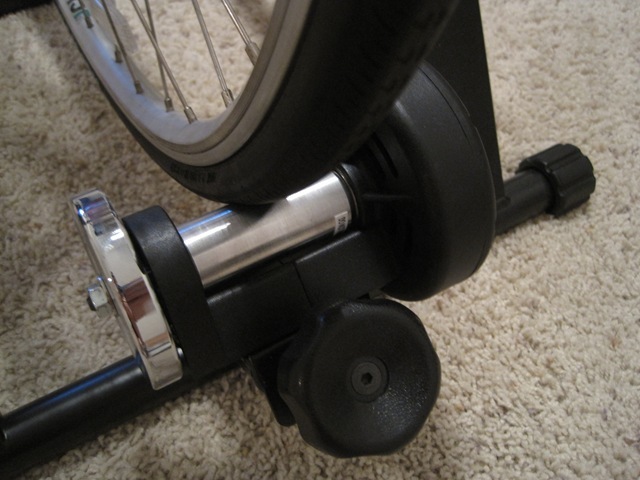 The front wheel just rests on the floor, or you can purchase block to set it on ( I do not have one). The magnetic resistance piece can be tightened or loosened to adjust the level of difficulty you are looking for. The only downside is that it sounds like a muffled vacuum cleaner. It can get loud if you pedal SUPER fast, but not if you are pedaling at a decent cadence. Just in case this helps make it more clear, I can hear the tv over the bike trainer without turning it up. 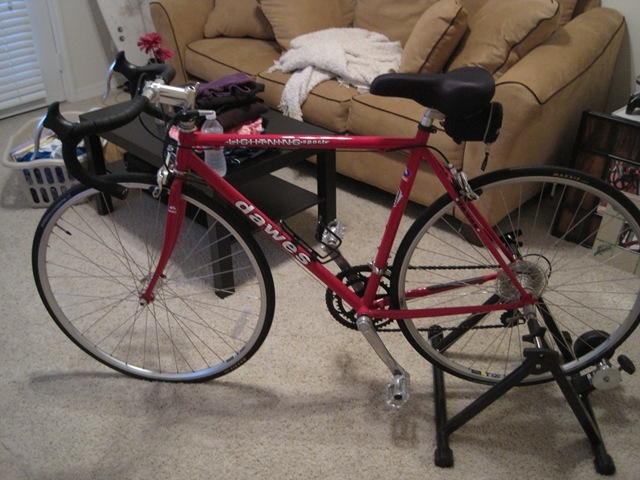 If you are into biking, looking for a form of cross training, trying to not leave your house in the cold of winter, or just find biking fun, I would recommend looking into a trainer. This is the only one I have ever tried, and I am sure there are better ones out there. I’m very happy with it, though! Feel free to ask any questions about it! Typing all of this out worked up an appetite! I was craving a hot breakfast. It is still SO COLD in Florida! I am used to the weather cycling back and forth. We have had close to freezing temperatures for weeks now! So much for global warming. I made a delicious bowl of oatmeal. 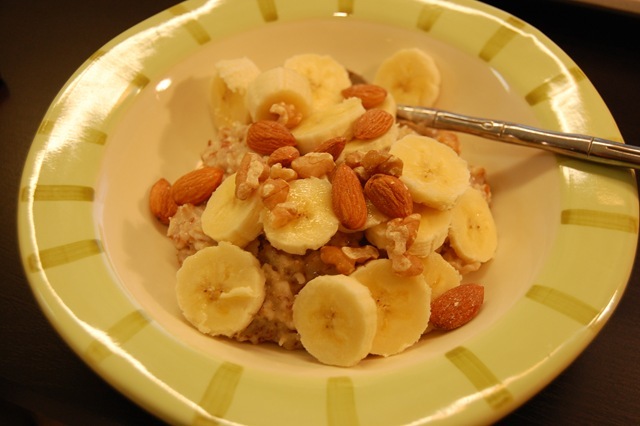 I haven’t had oats since my birthday! I have missed them. I love eating super healthy and filling breakfasts. They make me feel better about my morning. Note: Just so this is clear, no one is paying me to say that I like this product (The Bell Motivator). I just happen to enjoy it and want to share it with my readers.